A man walks in to a bar and says to the bartenter " Give me twenty shots of your best singlemalt scotch quick!"] The bartender pours the shots, and the man drinks them as fast as he can. The bartender says " Wow. 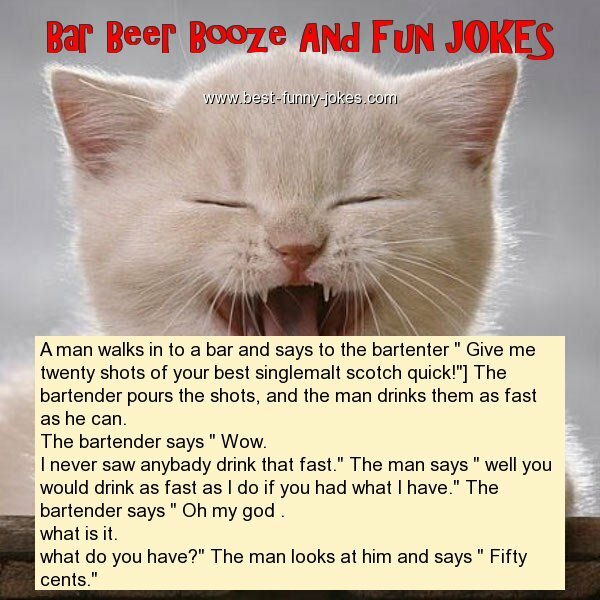 I never saw anybady drink that fast." The man says " well you would drink as fast as I do if you had what I have." The bartender says " Oh my god . what do you have?" The man looks at him and says " Fifty cents."